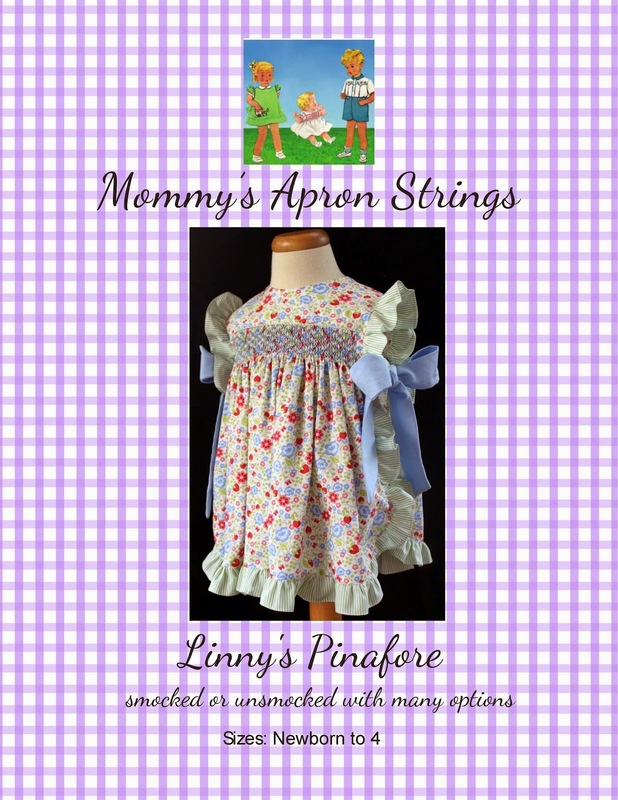 Mommy's Apron Strings: Linny's Pinny for Fall! Lauren Marie shared her beautiful version of "Linny's Pinafore" on facebook. She allowed me to show it, too! Lauren tells us this was only her third smocked garment! 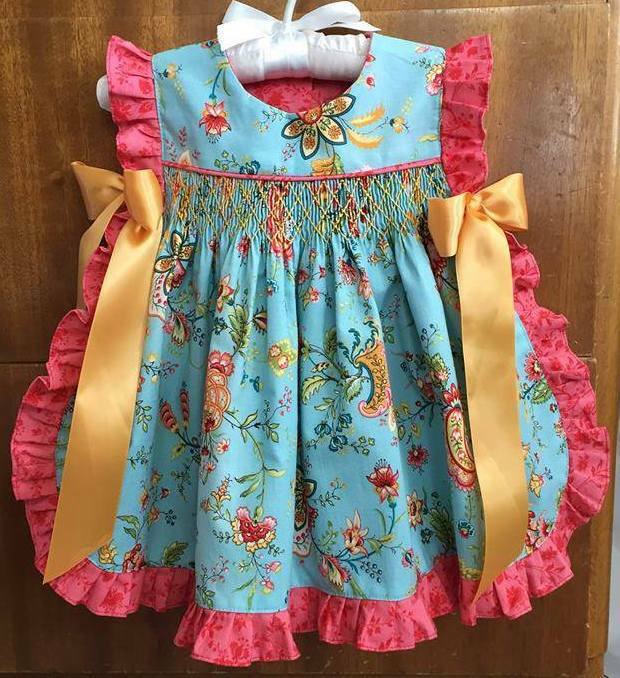 She made an 18 month size for her niece to wear next year. Lucky little girl- these colors are beautiful. 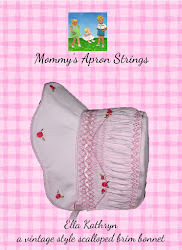 Look what an even job she did on the ruffles! The big ribbons are so pretty, too! I love it when people send pictures!! If you have made a "Linny's" please share some pictures with us!! Dibs are a Big Thing at our House!